All pages and cover are intact. Spine and/or cover may show signs of wear. Some creasing is on the cover. ~ Goodwill Industries of Greater Grand Rapids, Inc. is a non-profit organization dedicated to changing lives and communities through the power of work. a dense collection of poetry from Plath, the copied I received categorized each poem by year. 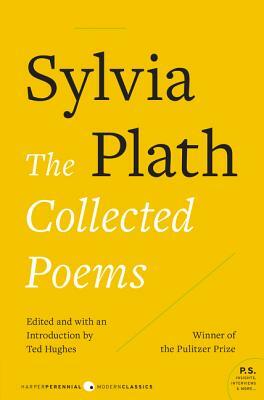 Wonderful book of all her Poems...Don't miss it!....If Poetry is your thing...then Plath must be added to your library. Sylvia Plath remains a forceful voice speaking to the heart. Her works are as fresh as they were decades ago. I first read her poems more than ten years ago as a college student and I was touched by the sincerity and emotive quality of her verse. I am still touched by her words today. Sylvia Plath's poetry is so unique. It is so very deep but hauntingly true in so many different ways. Sylvia died on February 11, 1963 by her own hands but left her very sensitive thoughts through her poetry. This book contains 224 poems that she wrote after 1956 together with a further 50 poems that were chosen from her pre-1956 work. The autobiographical nature of her poetry makes it hard to readThe Collected Poems without thinking about the tragic end of her life. But it is in her poetry that we can find her essence and the triumph of her words - the words she feared were " dry and riderless " live on to haunt us and enchant us. This volume makes a lovely addition to any poetry collection -with so many poems that deserve to be read aloud.